We were driving out toward east Texas on my birthday last week and I happened upon a verse on my drive that changed the way my whole trip would go. That verse would be on replay throughout our drive. "It is God who clothes the wild grass." You know the section where we are told not to be anxious because God cares for the lilies of the field. It goes on to remind us that God cares greatly for simple grass. Of course, He will care for us. I know that He hears my desperate plea. Every flower and stalk of grass remind me. 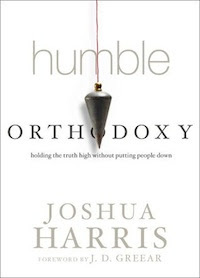 I recently had the opportunity to read Joshua Harris' new book Humble Orthodoxy. It has it's roots in a section from his book Dug Down Deep. He was told over and over how deep, profound, and needed this section was in that book. He was often told that it should be a book in itself. I would have to agree. He expounded and expanded the topic of much needed humble orthodoxy. Reading through the text was akin to breathing fresh air for me. There is such division and judgmental mudslinging in the church that it grieves the soul. This book addresses the fact that we don't need to get carried away with inconsequential arguments, but we do need to stand firm for the gospel. The fact is that we are all wrong on some things, but we must all be right on one thing, Christ. 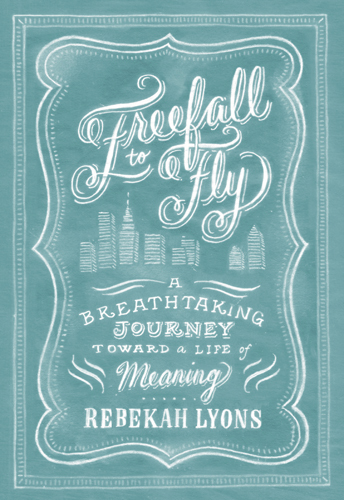 I want to encourage you to pick this up and learn to engage those around you with the grace that exalt Christ. We must focus on important truths and the blood of Christ making atonement for sin. We must not tear apart our brothers in this process. Our goal is not that we are right. Our goal is to lift high the name of Jesus Christ. I have been overcome with the stories of those serving West in the aftermath of tragedy. The gracious behavior and the servant's hearts are on full display. People in the media are all abuzz about the Southern hospitality they are encountering. It is shocking them. I think Christ is being represented in the Bible belt right now. His people are stepping up. There is another group in the Bible belt right now. The ungracious. The hate-filled attackers. Honestly, I saw a picture of one of them on social media and I felt like I was staring a demon in the face. The folks are from Westboro. These are the people who picket funerals because they see this disaster or the death of a soldier as God's judgement. They own a website called godhatesfags. No, really. I keep seeing the campaigns to refuse them service. Now, I am all for shielding those who mourn. I am just wondering what kind of reception Westboro is getting in the Bible belt. Oh, Jesus, remove the scales from their eyes. Move on their hearts. Where there is hatred, sew love. Whatever happened to them in order for them to see you like this, I ask that You would redeem it. May they find grace, repentance, and soul resurrection in the Bible belt right now. May You be glorified in this unique opportunity for Central Texas' Christians to love their enemies and bless those that curse them. 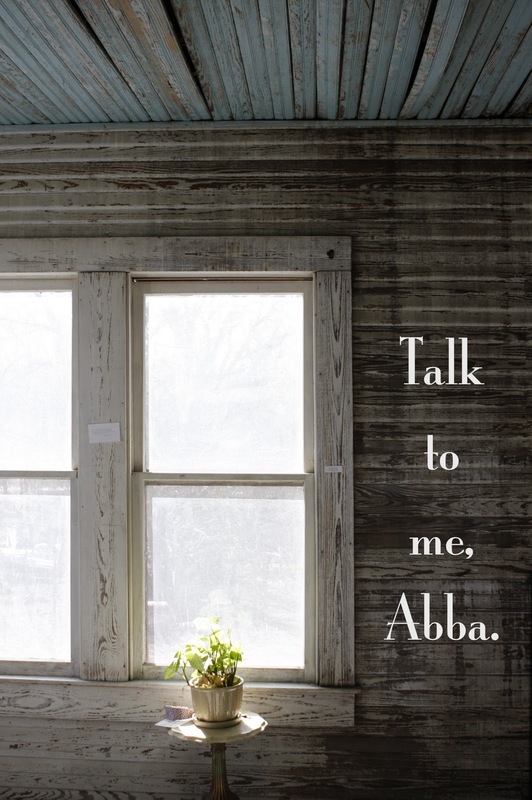 Shine Your light, Abba. May we not respond with wickedness. Let us love our enemy with the grace that we show the wounded. Amen. People are being set free from among them. See this article. Matthew 5:43 “You have heard that it was said, ‘You shall love your neighbor and hate your enemy.’ 44 But I say to you, Love your enemies and pray for those who persecute you, 45 so that you may be sons of your Father who is in heaven. For he makes his sun rise on the evil and on the good, and sends rain on the just and on the unjust. 46 For if you love those who love you, what reward do you have? Do not even the tax collectors do the same? 47 And if you greet only your brothers, what more are you doing than others? Do not even the Gentiles do the same? 48 You therefore must beperfect, as your heavenly Father is perfect. Well, I read this book. When, I saw the title, I said, "Okay, I'll bite." I must say that I am not in any way a cessasationist. I believe that healings occur by the power of the Holy Spirit. Now, with that said, I struggled through this book. My quick rundown would be angry rant, how he met his wife, angry rant, contradiction, weird connections, short exhortation. First off, Chad goes on with some bitter diatribe about someone telling him that God took his grandpa home to Heaven so he thought God was mean. His rant was about people tell you that your suffering is for the glory of God. Skip past the nice marital story and Chad himself tells you that God uses suffering for your good. Which is it? He does or He doesn't. Perhaps Chad should write about forgiving the person that gave him the message he misread and repenting before God of how he viewed Him. Chad tells us how he doesn't like big showy healings, but most of the people he reference in his book are into that very thing. It is quite confusing. The end was a good exhortation in trusting God to be what He is, supernatural. As a whole, I didn't really enjoy it. I found it to be a muddled bunch of confusion. I do agree that God can do much more than we are asking of Him. On that, Chad is right. We should challenge ourselves to do what Christ told His disciples to do. 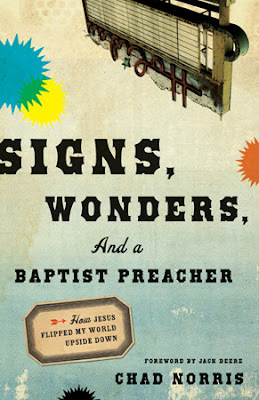 This book was graciously provided for review by Baker Publishing Group. 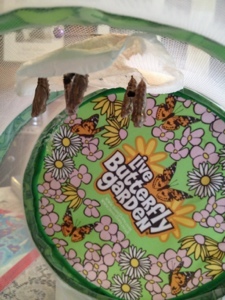 Last week, I wrote about the butterflies we had been watching emerge from their cocoons. You can read about it here. 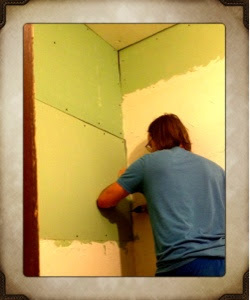 I had also found myself struck by the realization of the shedding of the exoskeleton. It is one thing to hear the terminology and another entirely to see it unfold. I was staring at the caterpillar begin to spin it's silken cocoon. It began a shaking that appeared so violent as it made a point and attached itself in order to hang down. A third of it's body fell off. I just stood there stunned. I was stunned because Christ in the tomb was fresh on my mind that Good Friday. I was stunned because Galatians 2:20 is always fresh in my mind. This falling away was not some calculated effort on the part of the caterpillar. It was a natural response to God creating it and calling it forth in it's time. There was a shedding of self, a shroud of paper thin mystery wrapped around the Chrysalis. Then, there was quiet. and your land shall be married." Over the last few weeks, I have watched a caterpillar wrap itself in a cocoon and then emerge a butterfly. Today, I stared deeply at the wonders of God as the orange color slowly filled its brown wings with bright orange as if it had been injected with paint that slowly crept through it's veins. I think about one line I heard on Sunday morning. You will be made whole. Isaiah 53. You will not be made whole like when you were a caterpillar or a chrysalis. 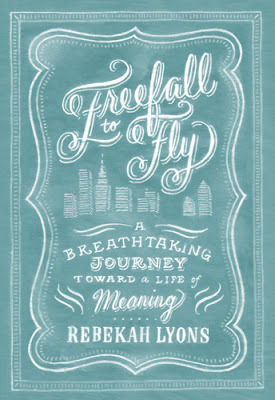 You will be whole as a new creation, one that gained the strength to fly through struggling through the cocoon. Dark, tight death wrapped the body and you had no idea if you would ever make it out alive. Then you emerge, barely there. Searching for strength. The color of dirt. Slowly, the color, the spirit of life, starts to fill you. You are alive. You are whole. You are what you were always meant to be. You are because of the struggle. I have been completely undone remembering the death and resurrection this year. The grief of the loss impacted me in a new and powerful way. I was overcome with despair at the thought of losing Christ. That mourning propelled my spirit into this grateful place of health and delight in Christ come Easter morning. Christ is risen in my heart. That freedom, that rising has made me want to sit and bask in the beauty and radiance of my Lord. I am sincerely in awe of what He has come and done in my heart. God allows us to love others like that. We can move forward in such grace and without reacting to petty concerns. We can reveal Christ to everyone around us in the simple, every day actions. We can be hospitable with our very lives, welcoming others with a warmth unparalleled. Christ wants to use our physical bodies to meet the spiritual concerns of others. If we only concern ourselves with others first. 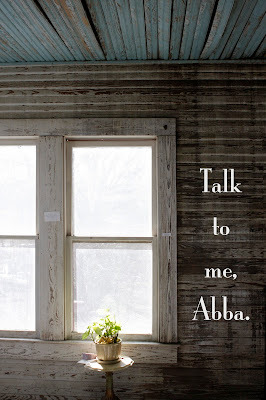 Let me show others your mercy, Abba.